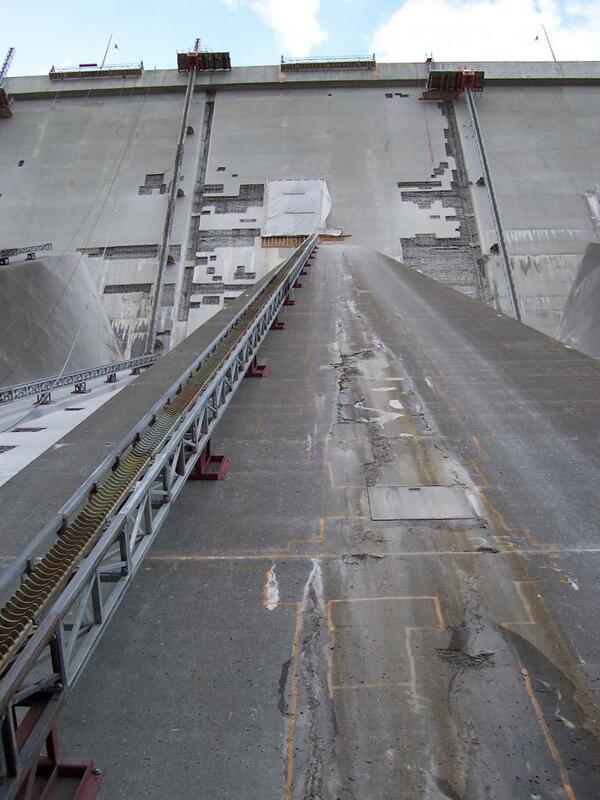 American Hydro was subcontracted to perform concrete removal from the vertical and sloped walls of the Robert Moses Dam using our proprietary hydrodemolition robot. The hydrodemolition work was part of a $13,000,000 restoration contract to remove deteriorated concrete from the 46 year old structure. Total hydrodemolition of the vertical and sloped walls exceeded 30,000 square feet. The dam geometry is unique in that it is 3,200 feet long with both vertical and sloped walls. The sloped walls are 212 feet high at the top of which lies the vertical walls rising an additional 115 feet. Because of the unique layout of this structure, American hydro designed and built a robot which operates on a rail system. This system allows American Hydro to remove concrete from virtually any height. The concrete removal depth of the Robert Moses dam was approximately 5 inches. The contractor opted to remove concrete using hydrodemolition in order to complete the project faster than would have been possible using chipping hammers. The contractor also stated that the hydrodemolition allows for little to no sandblasting around the rebar area as well as less wear and tear on their equipment and labor force.